"Arbitrage" is typically a financial word reserved for guys who wear watches worth more than your car. Which makes sense, since trading in foreign currencies isn't exactly something one does because they like playing with colorful banknotes. But you don’t need a master's in finance/Wall St coke habit to make money using foreign currency. In fact, look no further than purchasing your next overseas airline ticket as a chance to score some serious cash using money from other countries. It's all about taking advantage of favorable exchange rates and getting cheaper fares than you would with traditional search engines. And depending on which airlines you're flying -- and to which countries -- this travel hack can be a serious savings tool. We talked to our friends at Tripdelta.com, a website that searches "hidden" routes to save big money on overseas travel, to find out how the whole thing works. OK, let's start with some basic questions before getting into the step-by-step guide. Where will I save the most? It’s not so much which destinations will save you the most money, but which airlines. 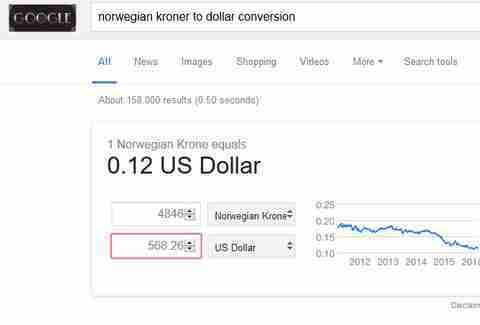 For example, Norwegian Air is almost always significantly cheaper if you pay in Norwegian kroner. Same with Chilean-based LAN Airlines: pay in Chilean pesos, and you’ll save. Or LAN’s sister airline TAM has shown similar savings if you pay in Brazilian reais. Do I have to fly to those countries to save? No. The key is to pay in the national currency of wherever that airline is based. For example, a round-trip ticket from New York to Barcelona on Norwegian Air from March 23-30 is $891 if you pay in dollars, and $809 if you pay in kroner. 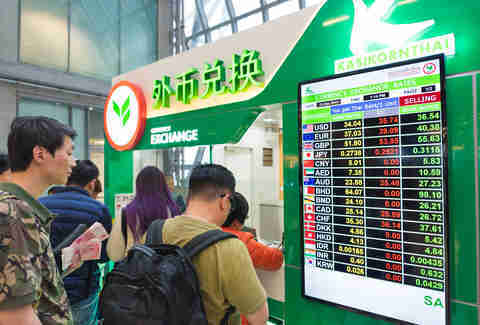 However, flying to the airline's country of origin will produce even bigger savings. For example, a round-trip LAN flight from Miami to Santiago from April 22-29 is $706 if you pay in dollars, and $599 in pesos. Does this work for every country? No, it works for some. 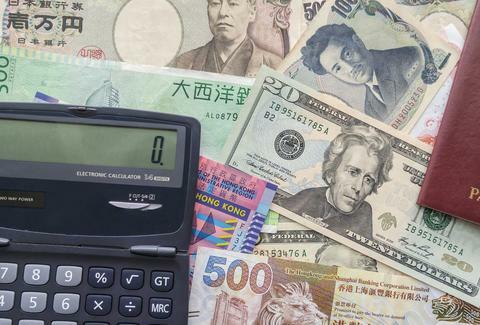 Countries with a currency pegged to the dollar probably won’t save you anything. Your boy who likes to say "arbitrage" all the time can probably hip you to which ones these are, but if not, here's a list as well. Unfortunately, most countries that operate on the euro won't either, but that shouldn't stop you from at least trying to get a deal on your summer flight to Spain. To find out if the trip you’re planning will be cheaper by paying in a foreign currency, follow these steps when booking your flight. You don’t need a special search engine to do this. Just go to your favorite online booking site (although we do recommend these) and search your dates of travel. OK, so you found a nice flight from JFK to Oslo on United. Don't stop there. 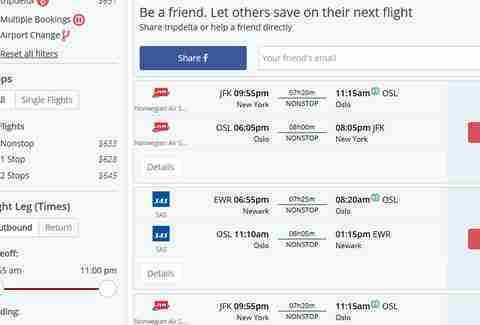 As tempting as it may be to stick with what you know, the key is to see if there's a similar flight on Norwegian Air or another foreign-based carrier. If there is, and you're comfortable with the flight times and quoted fare, jot down the info and open up a new browser window. If you don’t know how to search for an airline’s website, just Google "How to find an airline's website." More likely, just Google that airline’s name. 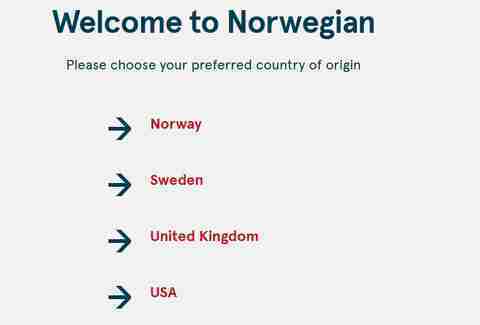 Some airlines, like Norwegian, ask you before you enter the site which country you're searching from. Others require you to select from a drop-down menu at the top of the page. If you're in the United States, it'll default to USA, so you’ll need to change that. It’s not a Global Entry interview, so go ahead and lie. After selecting that airline’s country of origin, you'll likely notice the site changed languages -- don’t panic, airport codes and dates are universal. If all else fails, though, call your buddy who speaks Norwegian. Kidding. Again, use the Internet to translate any unclear text. Now, find your desired flight on the local airline's site and note the cost in that currency. Also, make certain the flight is departing from your country of origin and not the other way around. Hate to accidentally book a ticket from Oslo to New York when you already live in Williamsburg. Open a new window and, using this currency converter, determine if the local-currency fare is cheaper than the one your originally turned up on Kayak or Orbitz. BIG NOTE HERE: Some airlines are hip to your little scam and only let you pay in their country's currency with credit cards from that country. It’s not a common policy, but might take you by surprise. If you find that's the case, be prepared to abort the mission and/or wire your buddy in Oslo the cash. Your credit card will convert the currency for you (after a small fee), and you’ll be all set. Congratulations. You've just successfully arbitraged your way (we think) to a cheaper airline ticket. Though Tripdelta told us that it isn’t necessary, some people have reported needing to use a proxy server or VPN to make this work. Simply, the foreign airline website knows you're booking from the United States so you need to, in essence, make it think you're in Norway. At that point, it's up to you whether the savings are worth the added technical hassle of installing/setting up a VPN. And finally, while some tickets are hundreds of dollars cheaper in other currencies, other times the savings can be nominal. So don't go in expecting a huge windfall. But if you’re the sort of person who enjoys spending your spare time looking for ways to save cash, this is definitely worth trying for your next trip overseas. If for no other reason than you’ll have something new to talk about with Mr. Arbitrage. Matt Meltzer is a staff writer with Thrillist. Follow him on Instagram: @meltrez1.